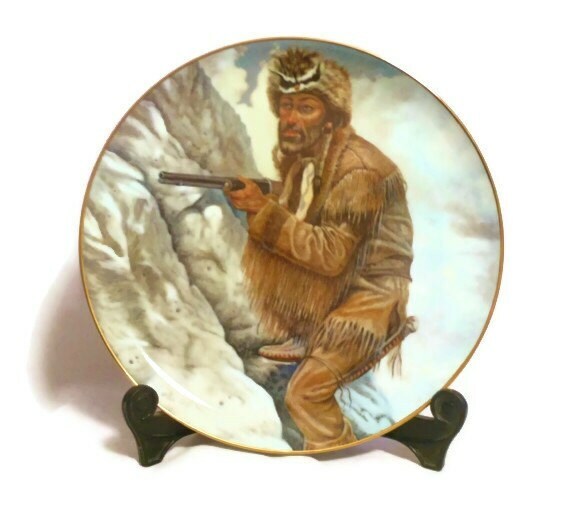 Gregory Perillo collector plates, rare complete set of Legends of the West Series 1982 Daniel Boone, Davy Crockett, Kit Carson, Buffalo Bill. In excellent condition, without the boxes. 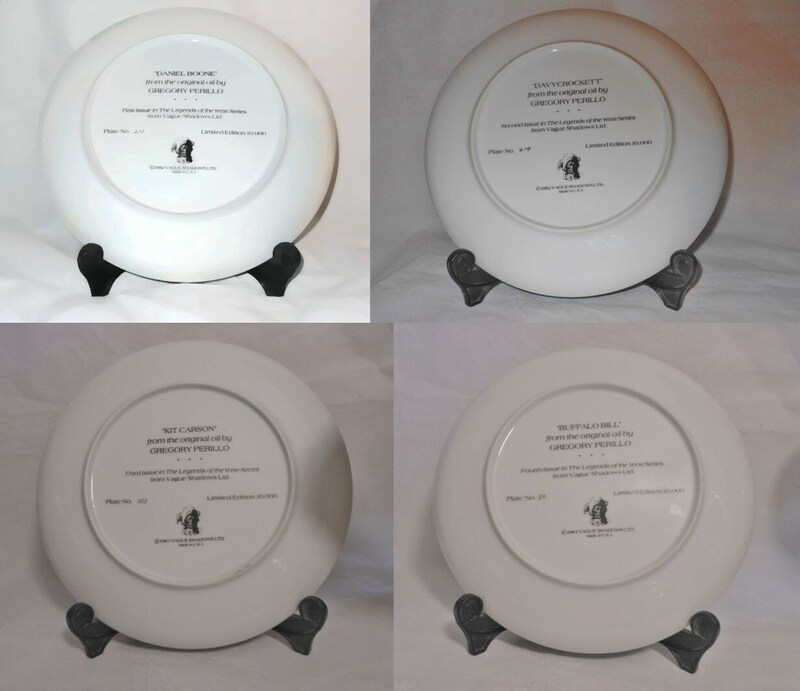 Plates are from original oils by Perillo and measure just over 10 1/2 inches in circumference with a decorative 24k gold rim. They were issued by Vague Shadows LTD and made in the U.S.A.
Davy Crockett - 2nd Issue Plate No. 629 in a limited edition of 10,000. 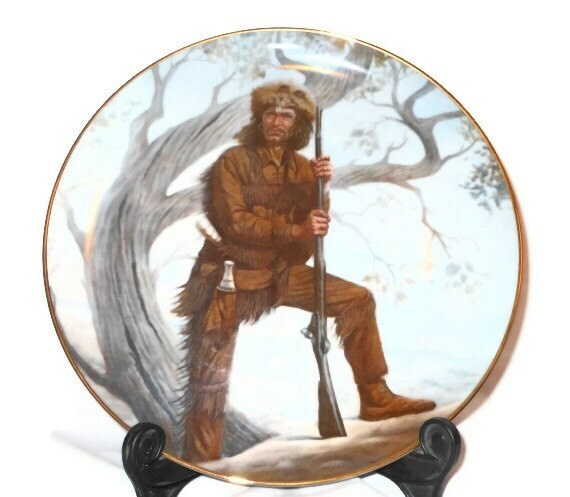 Daniel Boone - 1st Issue Plate No. 210 in a limited edition of 10,000. 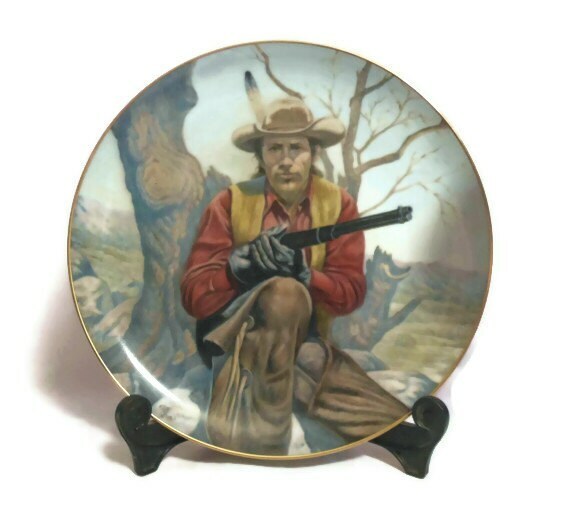 Kit Carson - 3rd Issue Plate No. 523 in a limited edition of 10,000. 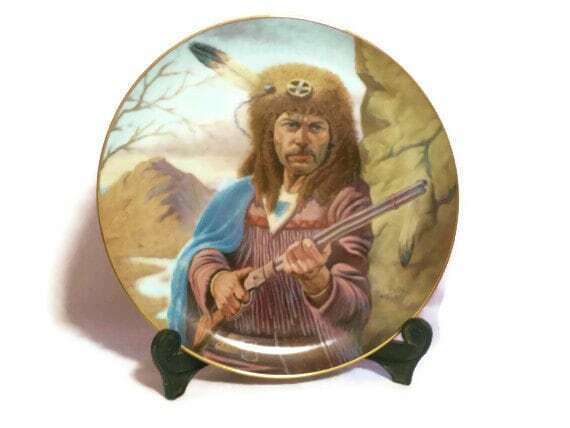 Buffalo Bill - 4th Issue Plate No. 29 in a limited edition of 10,000.